Being active members of the forum we guess many of you have not read VolksWorld for a while and will probably not go to the effort of going out and buying one. Many of you have stated that the magazine is just not relevant to you anymore. 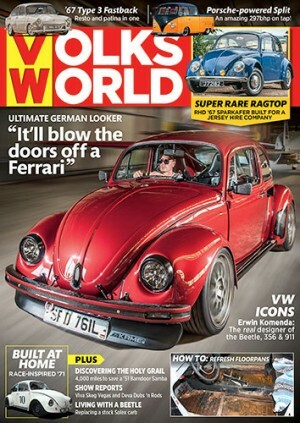 Well VolksWorld has changed a great deal over the years and they’d like to make sure everyone is up to date with what the current version is all about so, when/if you do comment about it, at least it’s about the magazine in its current form and not one from years ago. VolksWorld is offering VZi forum users the chance to get a digital copy of the current magazine absolutely free, all you need to do is CLICK THIS LINK and follow the on screen instructions. At the moment they are only able to offer this to iPad and iPhone users, but are working on an Android app which is due soon. When it is ready we will re-post on VZi giving all Android users the chance to get a free copy too.